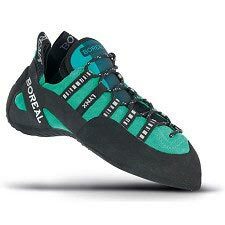 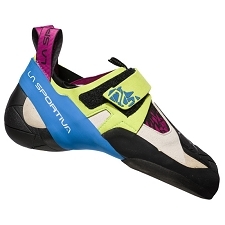 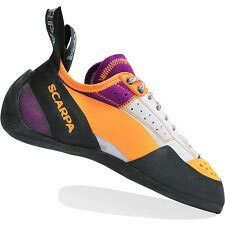 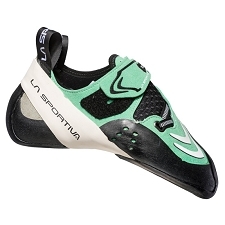 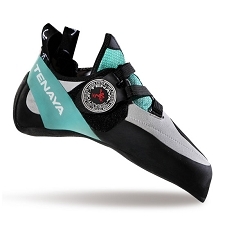 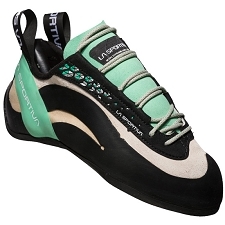 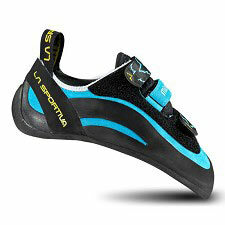 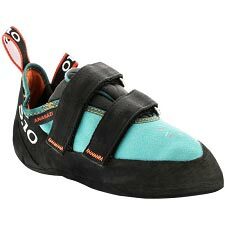 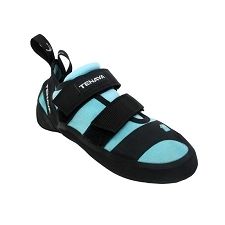 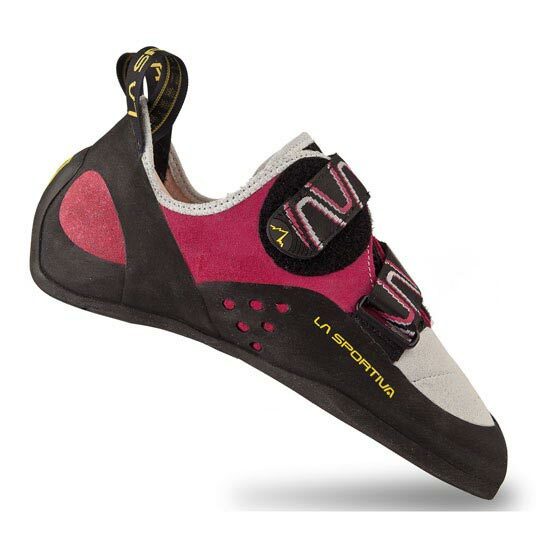 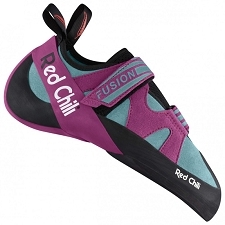 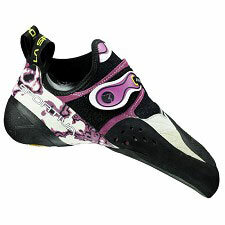 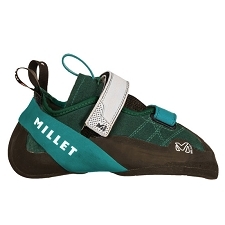 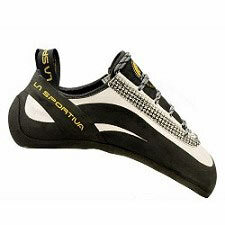 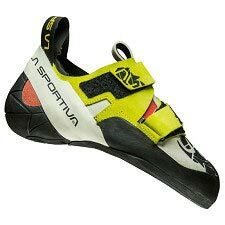 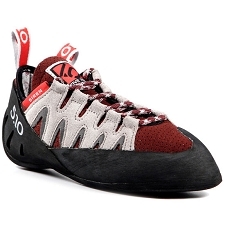 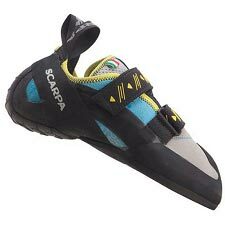 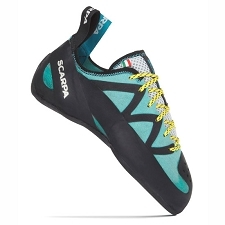 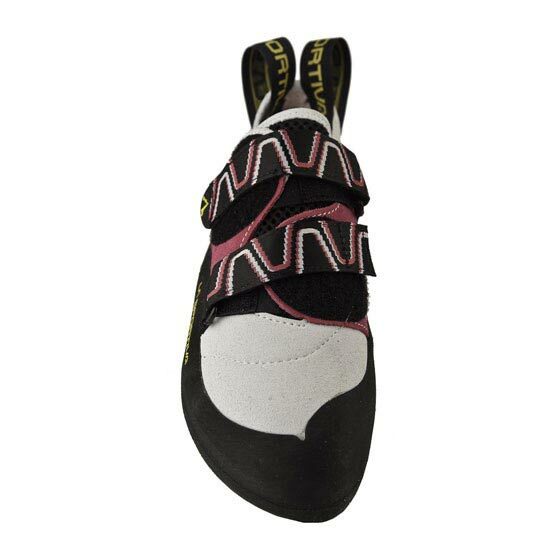 Women&apos;s technical climbing shoes with innovative closure, consisting of two Velcro straps with differentiated and opposite pull direction. 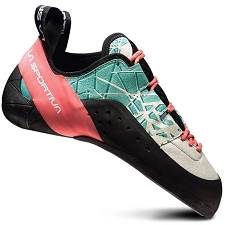 Sensitive, precise and structured, the Women&apos;s Katana provide the perfect balance for multi−purpose use in the mountains, crags and bouldering. 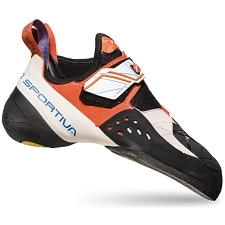 Lined with Pacific in the forefoot for toe knuckle comfort and Dentex in the back for moisture management, the Katana sports a Lorica® toe−box to help keep the shape of the toe box and provide power while edging. 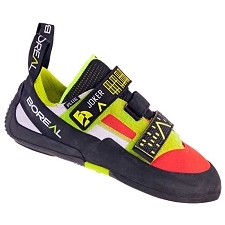 The Slingshot Rand is connected to the Powerhinge for excellent edging prowess and the opposing hook and loop closure straps provide opposing tension for a great fit. 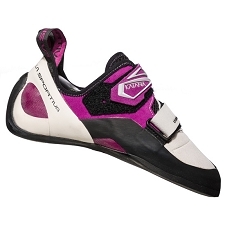 Tech w/ Medium−High Asymmetry fit .